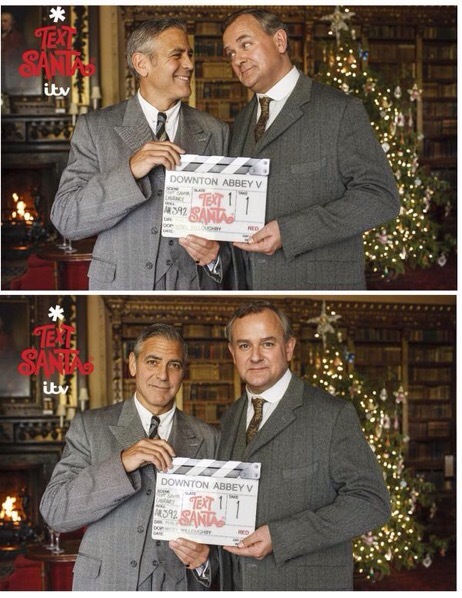 Yep, that’s George Clooney on the set of Downton Abbey. He’s joining the cast for a one-off special that will be broadcast on ITV as part of the broadcaster’s annual fundraiser, Text Santa. And if that small glimpse of George with the Lord isn’t enough, ITV have kindly released a blink-and-you’ll-miss-it clip. Text Santa is on ITV on December 19.